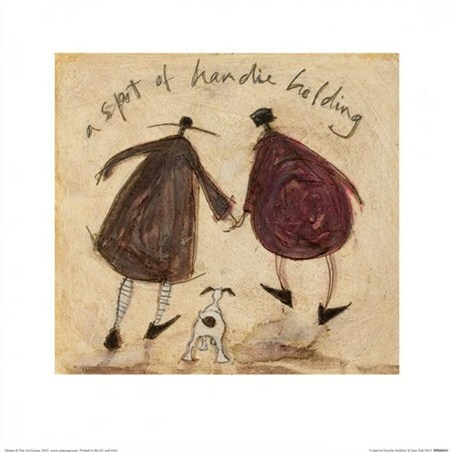 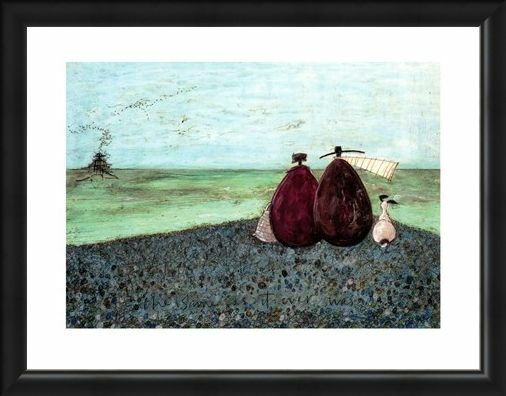 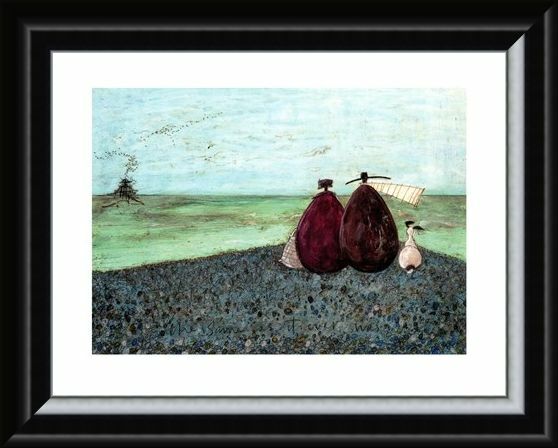 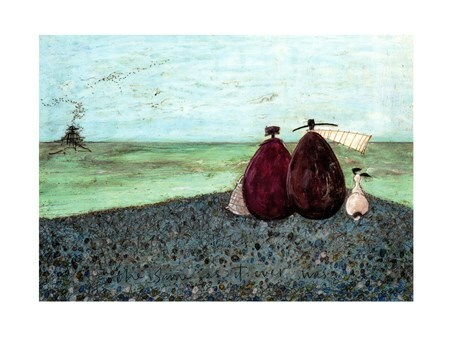 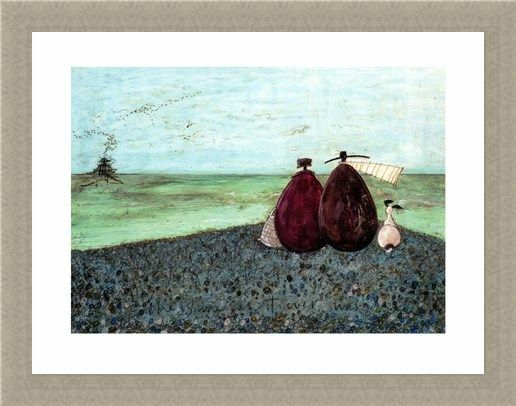 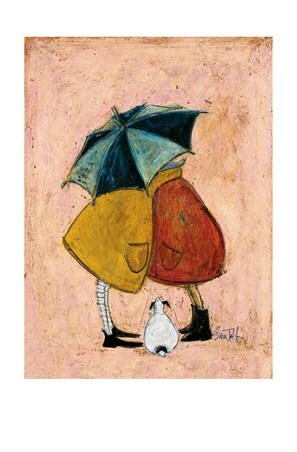 Art Print: This heart warming addition to English artist Sam Toft's works is as charming as her past pieces, and features her trademark rough brushtrokes and uplifting use of colour. Featuring a couple sharing each others company with their loyal companion sat by their side, this thought-provoking yet wonderfully simplistic print is sure to add a gentle touch of colour to your home and lift your spirits whenever you're feeling in need of a boost. 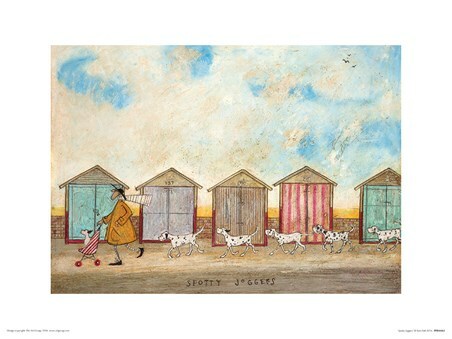 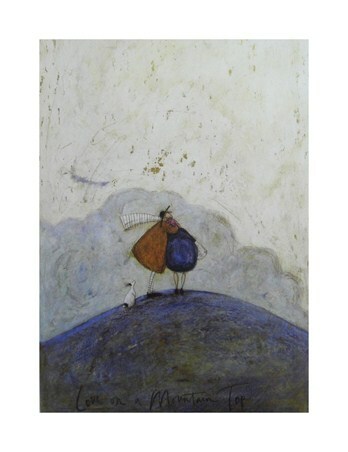 High quality, framed The Same As It Ever Was, Sam Toft print with a bespoke frame by our custom framing service.